It's a scenario you hope never to experience. Yet according to the FBI, there were an estimated 9,082,887 property crimes in 2010, resulting in losses of $15.7 billion dollars. A home security system is an effective deterrent, and will help you protect those you cherish most. Securitec offers custom-designed home security systems to fit the unique needs of your home, family and lifestyle. 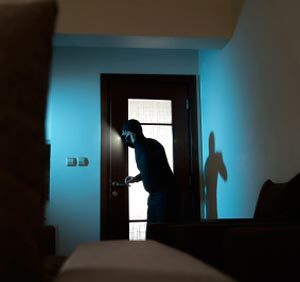 Advanced detection systems are available for carbon monoxide, high water / sump pumps, fire and smoke as well as remote light and door lock control. A home security system provides you with more than peace of mind, it can save you money. Insurance companies typically offer discounts up to 20% on homeowner insurance premiums. Contact your insurance company for details. Contact a Securitec professional security consultant today at 1-800-860-7413 to schedule an on-site assessment and discuss the options available for your home. If you’re ready to see what Securitec can design for your home - click here or call 1-800-860-7413.